There is no snow in the penguin exhibit at Audubon Aquarium of the Americas! Don't be surprised...there are 17 species of penguin in the world and just two of them live in the Antarctic. Want to learn more about these amazing creatures? Visit the Aquarium! 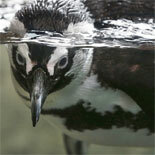 Penguins - features two species of warm-water penguins: African black-footed penguins and Rockhopper penguins. 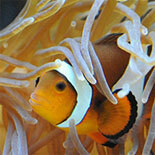 Caribbean Reef - Discover the creatures of North and South America's underwater! Adventure Island An exhibit designed for fun and exploration, Adventure Island is an action-packed interactive play zone designed to give everyone from the small fry to the captain" a day of fun and learning. 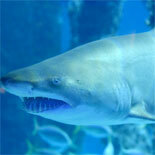 Admission to Adventure Island is free with paid Aquarium admission. An new exhibit based on an old favorite. 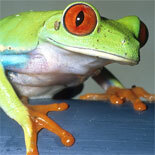 FROGS "Beyond Green" has a new home at Audubon Aquarium of the Americas! Located on the second floor near the Sea Otters this popular exhibit features milk frogs, poison dart frogs and other favorite amphibians in brand-new habitats made beautiful with orchids and exotic plants. Lots of interactive fun, too! The penguin colony at the Aquarium features two species of warm-water penguins: African black-footed penguins and Rockhopper penguins. Don't be surprised that there is no snow in their habitat. There are 17 species of penguin in the world and just two of them live in the Antarctic. African black-footed penguins are the most numerous penguins in the exhibit and many of the birds were born there! The Rockhopper penguins in the exhibit have orange feet and bright yellow tufts of feathers above their eyes. PENGUIN FEEDINGS: 10:30 a.m. and 3:00 p.m. daily! The entire penguin colony survived Hurricane Katrina in August 2005 and was evacuated to Monterey Bay Aquarium in California. On May 22, 2006 they returned home with the sea otters safe on the wings of FedEx to Audubon Aquarium of the Americas. The Aquarium is home to two Southern sea otters, Buck and Emma. The Southern Sea Otter is most commonly found in waters of the North Pacific or central California - a perfect habitat for these animals who like to spend most of their day playing in the kelp forests. These two sea otters came from Monterey Bay Aquarium in California when they became unable to live on their own in the wild. 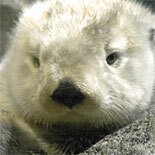 SEA OTTER FEEDINGS: 2:00 p.m. daily! 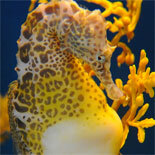 The Aquarium's seahorse gallery offers interesting facts and seahorse encounters with incredible creatures like the seadragons whose flowing appendages conjure thoughts of mystical sea monsters. There are only 32 known species of seahorses and they live in some of the world's most threatened habitats - as their habitats decline, so do their populations. The Aquarium's husbandry is working to ensure the survival of these amazing animals through its own breeding programs, and cooperation with an international conservation team called Project Seahorse. One of the most unusual residents of the Aquarium lives in the Mississippi River Gallery, "Spots" the white alligator. 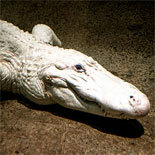 One of just 18 rare white alligators found in a Louisiana swamp in 1987, Spots is white but he is not albino. He is LEUCISTIC; a gene mutation gives him his white color and steely blue eyes. Spots and his siblings (all male, by the way) probably wouldn't have lived long in he wild since their white coloring wouldn't camouflage them from other animals anxious to dine on the tiny hatchings. As goodwill ambassadors from Louisiana, Spots and his brothers are celebrities the world over! Discover the creatures of North and South America's underwater! Enter the Caribbean Reef through the Aquarium's 30-foot-long aquatic tunnel where you will lurk with creatures of all shapes and sizes, surrounded by 132,000 gallons of water! You Aquarium experience includes one nature documentary movie at Entergy Giant Screen Theater, the largest screen in the Gulf. Located next door to the Aquarium, Entergy Theater combines the visual power of a five-and-a-half story screen with dynamic sound to put you in the middle of the action. Explore the wonders of nature through a variety of 3D giant screen features, including a 4K digital projection system and state of the art Dolby Atmos multidimensional sound. 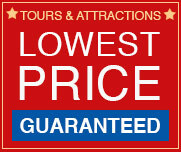 Entergy Theater is located downtown, adjacent to Audubon Aquarium of the Americas.Valid on same day as Aquarium visit. Discover the creatures of North and South America's underwater! The Aquarium is closed Mardi Gras day, Thanksgiving day and Christmas day. Self parking is nearby at Jax Brewery; Sugar Parking Lot and Canal Place Parking Garage. 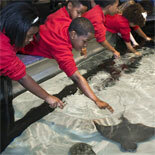 Wheelchair rentals at the Aquarium are FREE with a license/I.D. 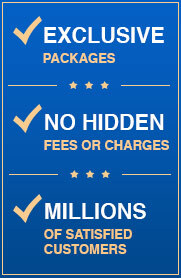 as deposit. You may pick up the wheelchairs at the information desk in the entrance lobby | Smoking is only permitted in designated areas of the Aquarium | Guests are required to wear shoes and shirts at all times. As a courtesy to others, modest dress is expected of all guests and revealing or offensive clothes are not considered appropriate. Guests wearing articles of clothing containing obscenities, vulgarities, or profanities will be asked to change their clothing or wear their shirts turned inside out. Admission may be denied if clothing is deemed inappropriate for the family atmosphere. The Audubon Park Commission reserves the right to address these issues with all guests and all clothing is subject to management review and discretion. The cooperation of patrons is greatly appreciated.